The rules for themes are fairly straightforward but well worth observing because it is very easy to default back to treating your mess as if it were a difficulty. Use no more that two or three words to name your theme. It is a name, not a description. This means it should be a noun or noun-phrase. Don’t name the problem. This will have the effect of treating your mess as if it were a difficulty. Make no judgements in naming your theme. This too is equivalent to naming the problem. Pick themes that appear in several parts of the situation. The best themes appear in different ways in different areas of the situation. Avoid picking themes that have the effect of chopping the situation up into parts. If you chop a messy situation up into ‘zones’ it has the effect of naming each zone as a difficulty. Similarly, it is worth checking that each theme reflects more than one perspective. Themes provide a way of thinking about some of the complexity of a messy situation in a simple way. They are a more holistic way of thinking about a mess than identifying ‘the issue’ or even ‘key problems’. 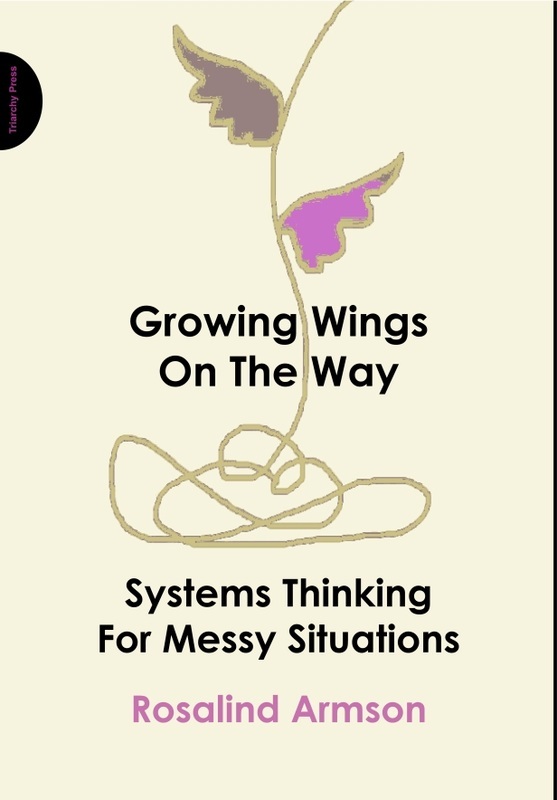 Other techniques in this book support new ways of thinking about messy situations but it can be hard to know where to start. Themes were developed as a way of finding a place to start. Later in the book, themes can be used as trigger ideas for diagrams and as potentially useful starters for thinking about action.